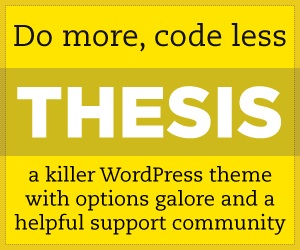 Finesse is a WooCommerce theme from Organized Themes that’s made to sell. With Finesse wordpress theme, you can add your logo and start adding your products. It’s been crafted from the ground up to be beautiful, flexible and great for conversions. If you’ve always wanted to be able to sell your products your way, Finesse wordpress theme is the theme for you! Show off your related products, or what’s on sale. You can even include widgets to further expand the possibilities. Finesse wordpress theme takes the elements of a WooCommerce product and lets you insert them where you want to, or leave out parts that you don’t need. That way you’re not limited to a preset layout. Drag and drop page/product builder. Don’t be confined by preset layouts for your products! Optimized checkout to help your store convert. Fully responsive design — beautiful and functional on huge desktops, small phones and those in-between. Image, video or slideshow hero area on any page or product. Live Customizer. See changes as you make them before you commit to them. Select from over 600 Google web fonts. Review Grassroots WordPress Theme. Grassroots is a hand crafted premium Non-Profit WordPress theme for organizations from Organized Themes. The theme you can use to make an amazing site for your organization to meet your online goals, tell their story and raise funds. The Organized Themes Grassroots WordPress Theme has great fundraising built on top of the excellent WooCommerce plugin so you can create a flexible shopping experience for the users visiting your website, with a mobile friendly responsive design, drag and drop homepage layout, a full screen video backgrounds or image backgrounds, easy customization options, add your own logo, color change options, 120+ Google font options, custom widgets, blog section and more. Built on WooCommerce for the best user experience and flexibility. Create as many fundraising campaigns as you’d like to. Let users give any amount or offer some preset options. Graceful fallback for mobile devices that don’t support video backgrounds. Choose different logo/navigation colors on any hero page so your text is always visible. Choose from over 120 of the best Google fonts. Drag and drop home page to create just the layout you want. Sponsors section to display those who have contributed to your organization. Staff section to let visitors connect with your key leaders. Facebook, Featured Posts, Video and Featured Page widgets. Support for The Event Calendar plugin to display coming events on your site. Navigation menus for drag and drop menu creation. Dedicated blog section with threaded commenting. Kerygma is a responsive church wordpress theme, gives you an easy to set-up and powerful site for your church. The premium wp theme designed by Organized Themes, you can easily customize with your branding and colors of your church websites. Kerygma theme has deep podcasting integration, support for audio and video podcasting, support of message series so that recent series are visible by graphic at the bottom of each message, custom front page, large hero image sections, parallax scrolling. Also kerygma of organized themes has standart features as custom widgets (for services times, map, address, current series etc), drag-n-drop the desired widgets, staff section, support for The Events Calendar plugin, visual WordPress theme customizer, translation ready and more.